Little Girl With A Golden Retriever Puppy. 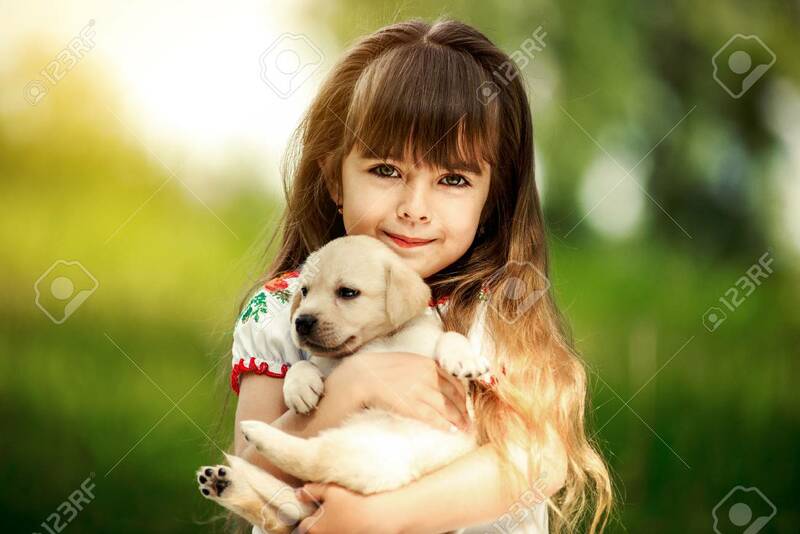 A Puppy In The Hands Of A Girl Banco De Imagens Royalty Free, Ilustrações, Imagens E Banco De Imagens.. Image 74106695.